The consolation of a bookshop. There is no shortage of folks who look down upon Delhi’s satellite city of Gurgaon. You just have to spend time with those snobbish Delhiites. 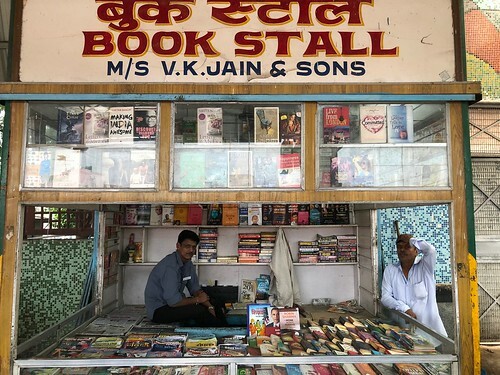 One of the easy ways to attack the poor Millennium City is to snigger that it has no bookstore. A handful of them exist in the malls and markets of new Gurgaon. The old Gurgaon is a different story, however. 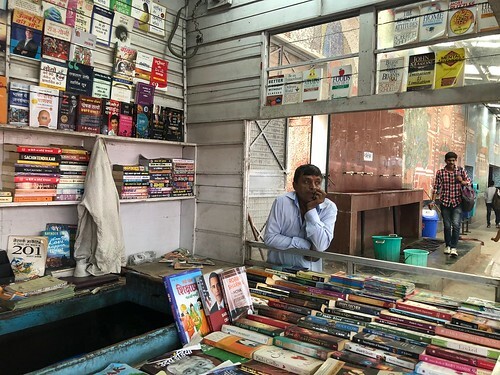 It had an excellent shop of rare books on Indian history and politics but its elderly owner shut it down a few months ago due to his advancing age. The only consolation left is a few pavement shacks in Sector 14, but they mostly keep pirated novels. 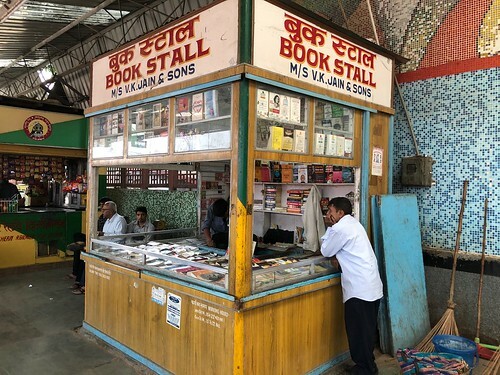 In brief, old city has no bookshop left, unless you count the one in its small, unassuming railway station. 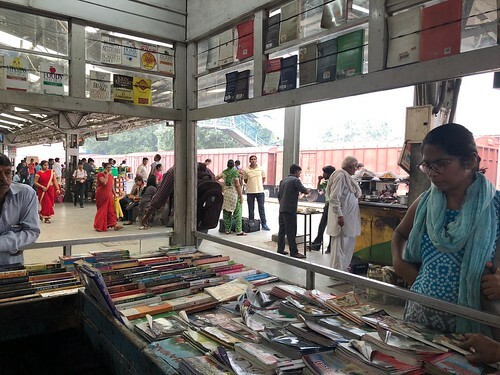 The small booth on platform 1 is run by the Indian Railways and has selections both in English and Hindi. “The shop was opened more than 20 years ago,” says Karan Singh Rajput, the man behind the counter. 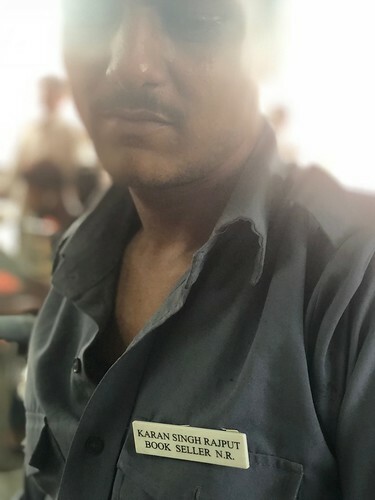 The white badge on his grey uniform describes him as a bookseller. 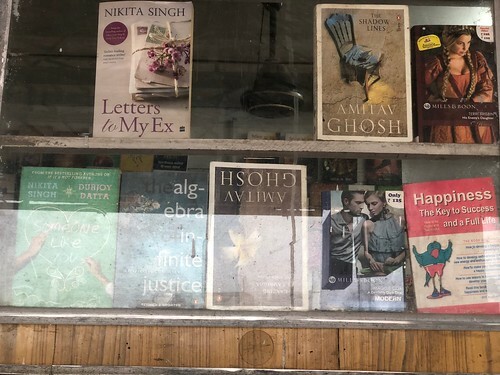 The stall brings instant happiness not necessarily for the books it has but because it is the only bookstore left in this part of the National Capital Region. The titles aren’t actually disappointing. They range from Shakespeare and philosopher J Krishnamurthy to novelists Anil Mohan, Amitav Ghosh and Surendra Mohan Pathak. “Paul Coelho is quite popular,” reveals Mr Rajput. Now a woman walks up to the counter. 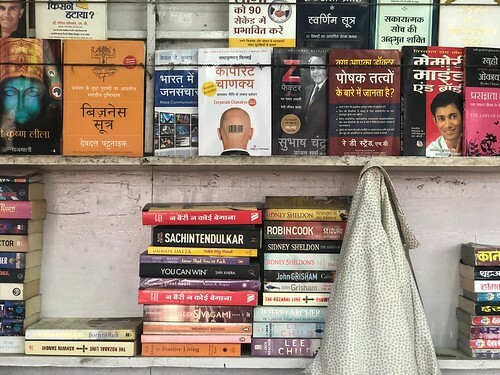 She flips through a bundle of motivational speaker Robin Sharma’s books, after which she picks up a copy of Othello. The lady thinks for a long time before putting it back and walking away. 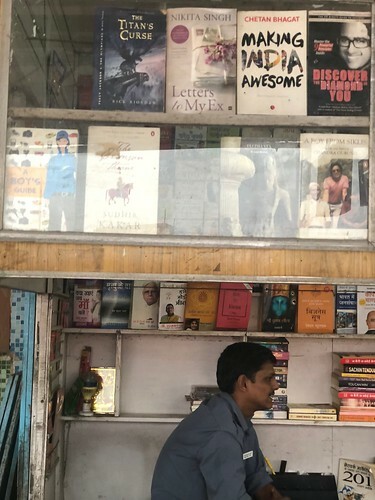 No novel was bought but a person got an occasion to spend a few moments in a brick-and-mortar bookstore. Indian Railways is the ‘lifeline of the nation’ in more than one way.